Do you think you get enough sleep? Can you remember the last time you woke up without an alarm feeling refreshed, not needing caffeine? If you answer no to either of these two questions, you are not alone. Two-thirds of adults throughout all developed nations fail to obtain the recommended 8 hours of nightly sleep. Preeminent neuroscientist and sleep expert Matthew Walker asks us these questions and vividly demonstrates the vital importance of sleep in his new book Why We Sleep – Unlocking the Power of Sleep and Why We Dream. Dr. Walker tells us that routinely sleeping less than six or seven hours a night demolishes your immune system, more than doubling your risk of cancer. Insufficient sleep is a key lifestyle factor determining whether or not you will develop Alzheimer’s disease. Inadequate sleep, even moderate reductions for just one week, disrupts blood sugar levels so profoundly that you would be classified as prediabetic. Short sleeping increases the likelihood of your coronary arteries becoming blocked and brittle, setting you on a path toward cardiovascular disease, stroke, and congestive heart failure. Sleep disruption further contributes to all major psychiatric conditions, including depression, anxiety, and suicidality. Once I made getting enough sleep a priority and a huge part of my self care journey, so many other things improved in my life. 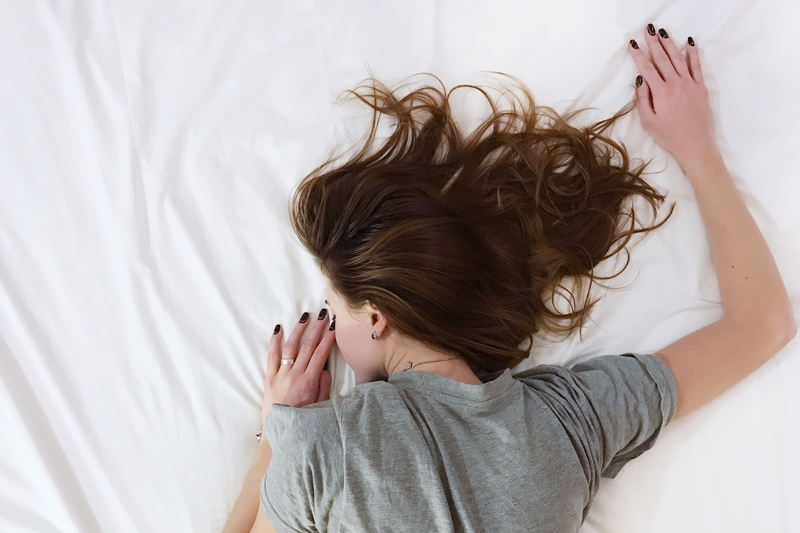 I used many of the tips below in addition to balancing my hormones (but that’s an entire blog post in itself) to increase both the quantity and quality of my sleep. 1) Stick to a sleep schedule. Go to bed and wake up the same time each day. As creatures of habit, people have a hard time adjusting to changes in sleep patterns. Sleeping later on weekends won’t fully make up for a lack of sleep during the week and will make it harder to wake up early on Monday morning. Set an alarm for bedtime. Often we set an alarm for when it’s time to wake up but fail to do so for when it’s time to go to sleep. If there is only one piece of advice you remember from these tips, this should be it. 2) Exercise is great, but not too late in the day. Try to exercise at least 30 minutes on most days, but not later than 2-3 hours before your bedtime. 3) Avoid caffeine and nicotine. Coffee, colas, certain teas, and chocolate contain the stimulant caffeine, and its effects can take as long as 8 hours to wear off fully. 4) Avoid alcohol drinks before bed. Having a nightcap or alcoholic beverage before sleep may help you relax, but heavy use robs you of REM sleep, keeping you in the lighter stages of sleep. You also tend to wake up in the middle of the night when the effects of the alcohol have worn off. 5) Avoid large meals and beverages late at night. 6) If possible, avoid medicines that delay or disrupt your sleep. Some commonly prescribed heart, blood pressure, or asthma medications, as well as some over-the-counter and herbal remedies for coughs, colds, or allergies, can disrupt sleep patterns. If you have trouble sleeping talk to your health care provider or pharmacist to see whether any drugs you’re taking might be contributing to your insomnia and ask whether they can be taken at other times during the day or early in the evening. 7) Don’t take naps after 3 pm. Naps can help make up for lost sleep, but late afternoon naps can make it harder to fall asleep at night. 8) Relax before bed. Don’t overschedule your day so that you have no time left for unwinding. A relaxing activity, such as reading or listening to music, should be part of your bedtime ritual. 9) Take a hot bath before bed. The drop in body temperature after getting out of the bath may help you feel sleepy, and the bath can help you relax and slow down so you’re more ready for sleep. 10) Dark bedroom, cool bedroom, gadget-free bedroom. Get rid of anything in your bedroom that might distract you from sleep, such as noises, bright lights, an uncomfortable bed, or warm temperatures. 11) Have the right sunlight exposure. Daylight is key to regulating daily sleep patterns. Try to get outside in natural sunlight for at least 30 minutes each day. 12) Don’t lie awake in bed. If you find yourself still awake after staying in bed for more than 20 minutes or if you are starting to feel anxious or worried, get up and do some relaxing activity until you feel sleepy. Pick just one of these tips to improve your sleep and let me know what worked or what didn’t. How Will I Self-Care Today?